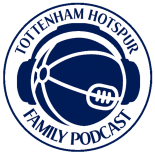 A global Tottenham Hotspur podcast and viewpoint, by the fans for the fans. Whisper it quietly – but as the days tick by in this transfer window, there is a growing likelihood that it will shut without Spurs having signed a new striker. January is notoriously a difficult time to trade. Clubs are understandably reluctant to sell their best players midway through the season – at a time when it might undermine a title challenge, relegation battle or cup run. Finding the right man is an uphill struggle from the start. So naturally the only players who are really available at this time of year are either (a) ones who cannot get into their respective first team or (b) ones who are in a bit of form and, as a result, are now grossly overpriced. Spurs recognised that they needed a backup/alternative to Harry Kane in the summer. This is highlighted by their long-running – and ultimately unsuccessful – attempt to sign West Brom’s Saido Berahino, as well as their earlier approaches for Danny Ings. Through stroke of good fortune, Spurs have got through to the new year with Kane as their only proper striker and the England international had remained largely injury free – although he has shown signs of fatigue in recent weeks. Logically there is no better time to bring someone in – both to protect the player and to support the club’s promising assault on multiple competitions. But it’s not always so easy. Many have rightly pointed out the shortage of realistic options available right now. Do Spurs resume their pursuit of Berahino knowing that his sometimes volatile personality could perhaps have a negative impact on the dressing room morale that is rock solid at the moment? Do Spurs go ahead and sign Charlie Austin from the Championship knowing he may find it difficult to fit into Mauricio Pochettino’s demanding style of play? Looking beyond those two – and with a new stadium on the horizon – do Spurs want to spend big bucks again on a benchwarmer from abroad? Bearing all this in mind, the underlying dilemma facing Pochettino and chairman Daniel Levy is the choice between bringing someone in who may be way down the shortlist or making do without, but at the risk of paying for it later? My gut feeling on this is that is it imperative that Spurs protect Kane. Kane is the club’s talisman and a vital cog in the Pochettino machine. Pochettino’s philosophy is all about building for the long-term. So it would be preferable to drop points here and there this season with Kane off the pitch, than run him into the ground and be left with half the player we have today in a couple of years. To expect him to lead the line in up to 60 games this season is unrealistic, and detrimental to both the club and player. Everyone has seen how the likes of Michael Owen and Wayne Rooney have suffered from too many games, too early in their careers. It is vital that Kane does not end up the same way and, for this reason, he must be protected this season. Having other options available off the bench and starting some games is the way to achieve this – even if the players who come in for him are not necessarily as good. QPR’s Austin, for example, may not be perfect, but is cheap (with his contract running out this summer), has goals in him and would presumably be happy as the backup striker at a top Premier League club. Whatever happens, saving Kane from the long-term burnout that has beset so many before him is imperative, and the actions of Pochettino and Levy in the transfer market over the next couple of weeks will play a pivotal role in achieving that objective. What’s wrong with Son, Josh and Ninja (when he returns) not to mention Deli and Nacir able play more central if need be. Plenty options if we want to rest Harry every now and again. Rather don’t risk unsettling the squad by bringing in wrong personality .. This entry was posted on 16/01/2016 by javadmovahedi in Uncategorized and tagged COYS, harry kane, Mauricio Pochettino, premier league, spurs, thfc, tottenham fc, Tottenham Hotspur, TOTTENHAM HOTSPUR FC, Tottenham Hotspur Football Club.